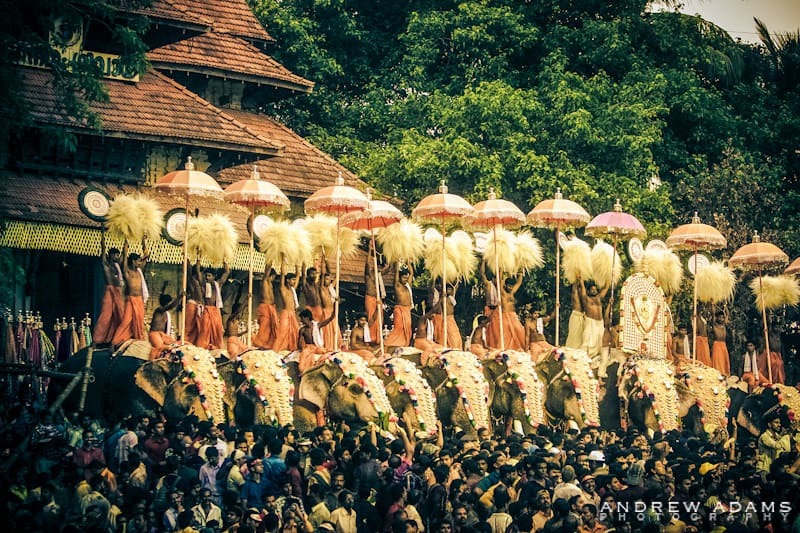 Thrissur Pooram Festival, Kerala, is one of India’s largest cultural festivals. GUIDEBOOK publisher Lonely Planet recently named Kerala one of the top destinations for family travel. And I agree. Soft, white sand beaches, gentle people, a tropical climate, fresh spices, tea plantations, India’s highest literacy rate, a unique culture … there are so many reasons to love Kerala. When asked, I often recommend starting a first trip to India in Kerala as it provides for a soft landing. 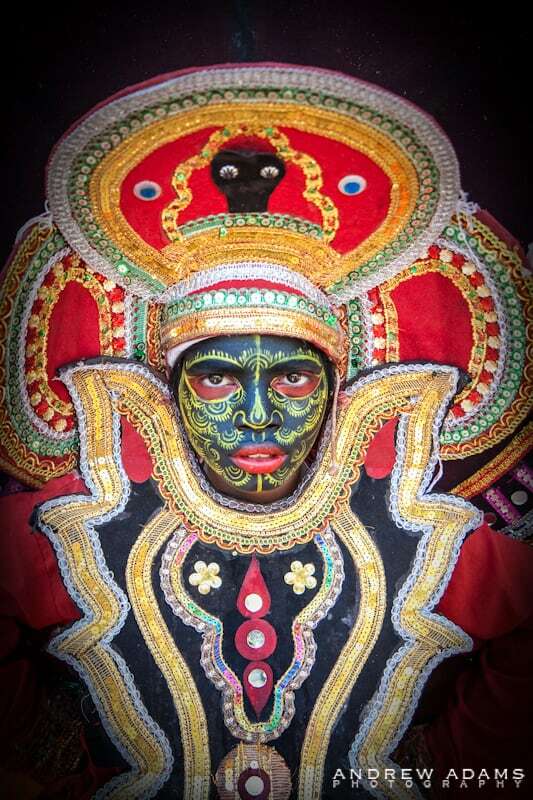 Photographer Andrew Adams shares my love of Kerala, and in this photo essay shows us several views of this beloved state, which shares the southern tip of India with Tamil Nadu. For my top Kerala travel tips and recommendations, please keep reading. Fishing on the Backwaters: a charming scene of daily life in Kerala. 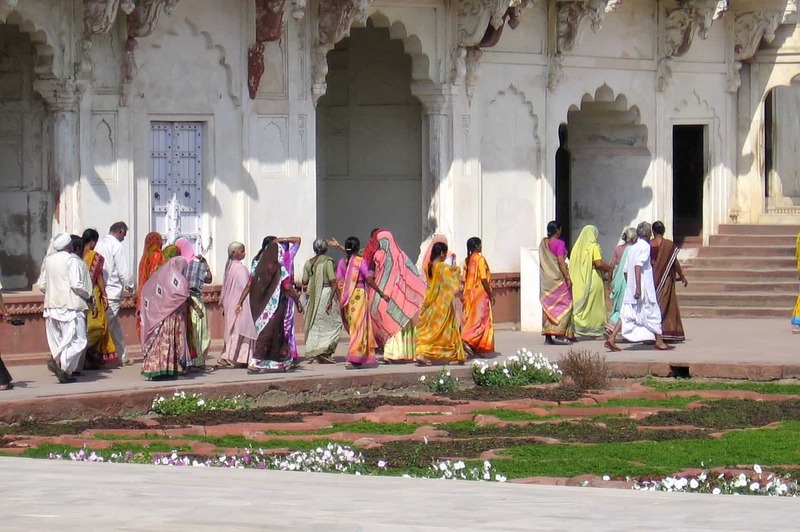 On my first trip to India, I landed in Delhi in December 2005 and by the end of the month, I was chilly! 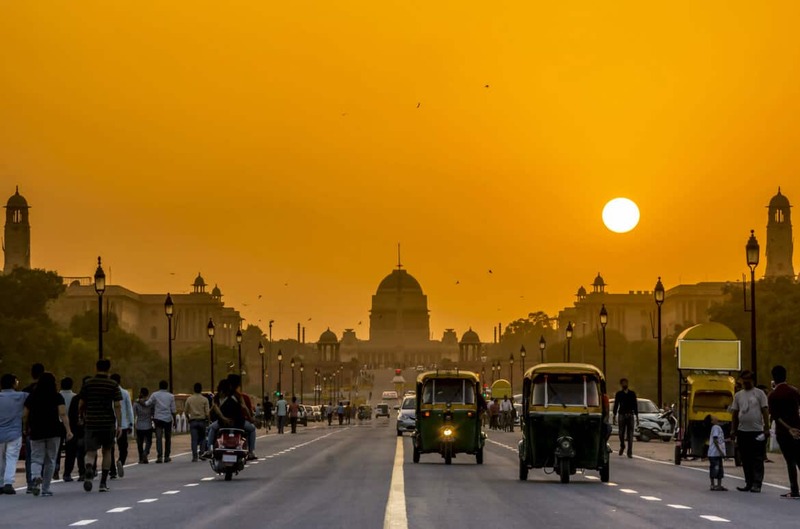 Delhi can drop to 5 C. at night in winter, and the houses are not heated. I was staying with Indian friends, who were all huddled in layers of warm clothing around room heaters, and I decided enough is enough. I did not leave Canada and travel all the way to India to be cold. 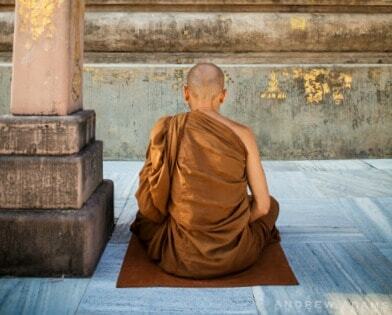 I called a travel agent I knew and booked a flight to Trivandrum, Kerala. I flew on December 31, the only flight available, and I cannot tell you how happy I was to arrive in Kerala on a sun-kissed, balmy day. From that day to this, I have had a special place in my heart for this lush, tropical state. 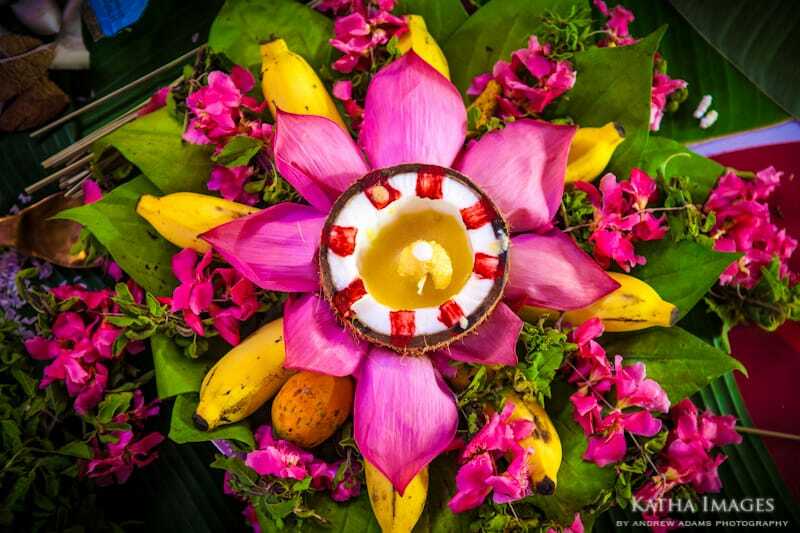 Colourful floral offering at a wedding in Kerala. The bride makes her grand entrance on guilded Palanquin, Kerala. I’ve been to Kerala twice, once to stay at an Ayurvedic resort, and once to visit the Backwaters and Cochin. I have also driven along the coast, making several stops along the way — including to get a hug from Amma, “the hugging saint,” whose ashram is in Kerala. Based on my experience and those of others, here are my top suggestions for a trip to Kerala. 1. 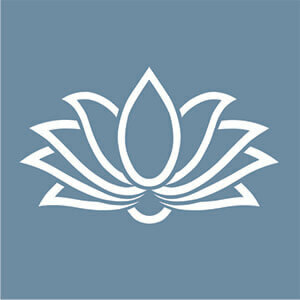 Take the treatments at an Ayurvedic resort. I stayed at Shinshiva Ayurvedic Resort for two heavenly weeks in 2006 and often dream of returning to relax on the beach, enjoy daily oil massages and eat fresh, healthy food. There are many Ayurvedic resorts and hospitals in Kerala to choose from, from the serious and austere to luxurious resorts on the beach that cater to tourists. 2. Float along the Backwaters. The Backwaters of Kerala are one of the state’s top tourist attractions and for a reason. It’s a unique way to relax and enjoy a traditional culture on board your own boat. 3. Ascend to the tea plantations of Munnar. Recently featured to great affect in Life of Pi, the lush hill station of Munnar is a centre of the coffee, tea and spice gardens of Kerala. A great place to find cooler weather and to commune with the natural beauty of the region. 4. Track wildlife at Peryiyar. Periyar Wildlife Sanctuary is one of India’s most popular nature reserves, home to bison, sambar, wild boar, langur, elephants and about 46 tigers, at last count. 5. Visit the old port of Cochin / Kochi. Kerala has long been a seaport, attracting traders from the Middle East and beyond, and Cochin was a major port of call. The old part of the city is fascinating, and features boutique hotels, great restaurants, many cultural attractions, a spice market, the famous Chinese fishing nets and a wonderful atmosphere. 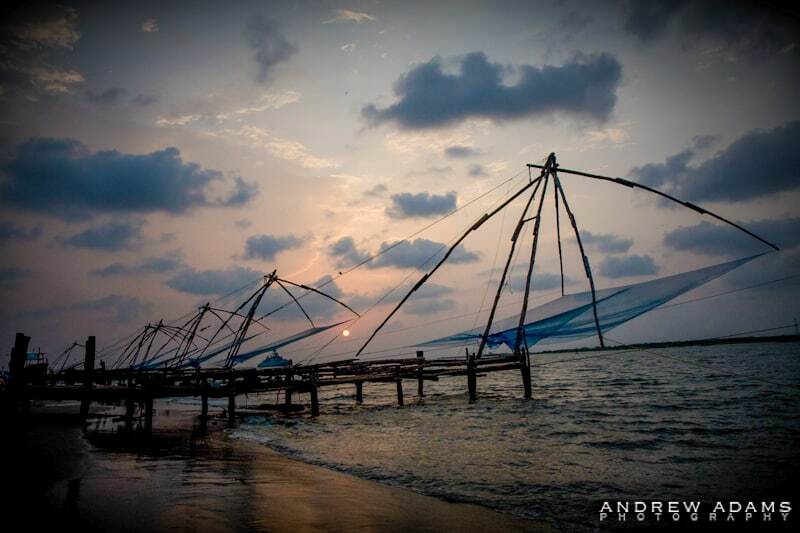 Traditional Chinese fishing nets are still used today in Cochin. 6. Bask on the beach in Varkala. 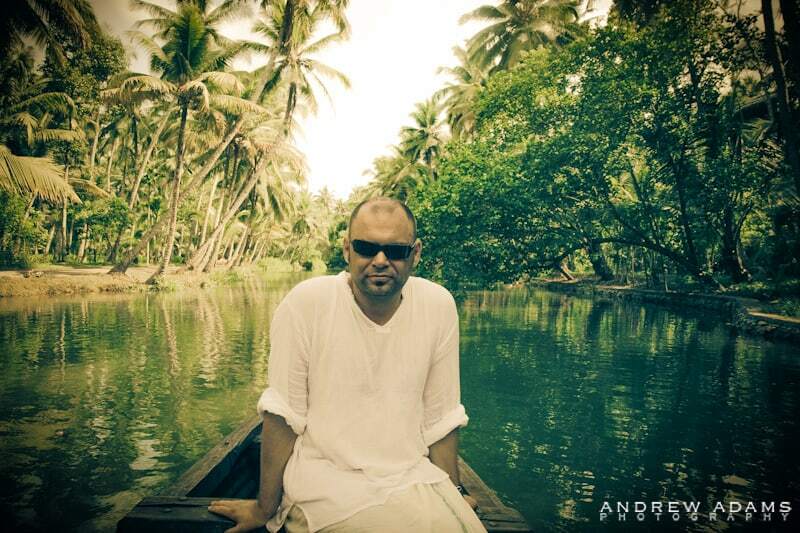 This is Andrew Adams’ favourite spot in Kerala, and perhaps all of India. Dramatic cliffs, gorgeous sunsets and a relaxed vibe combine to make it a great spot to unwind and unplug. 7. Enjoy the festivals. 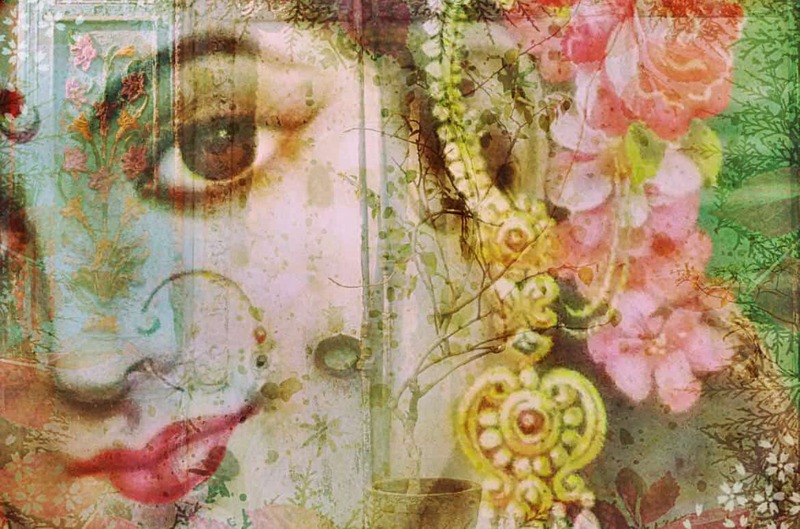 Kerala has its own unique culture, distinct from the other states of India, and many of its own festivals. Onam, for example, is an exuberant festival that takes place in August/September to celebrate the abundance of nature. 8. Celebrate monsoon season. I have been besotted by the idea of being in Kerala when the monsoon arrives since seeing a documentary about it, called Chasing India’s Monsoon. While it is the off-season, and extremely hot and humid, it is considered a special time to be in Kerala. 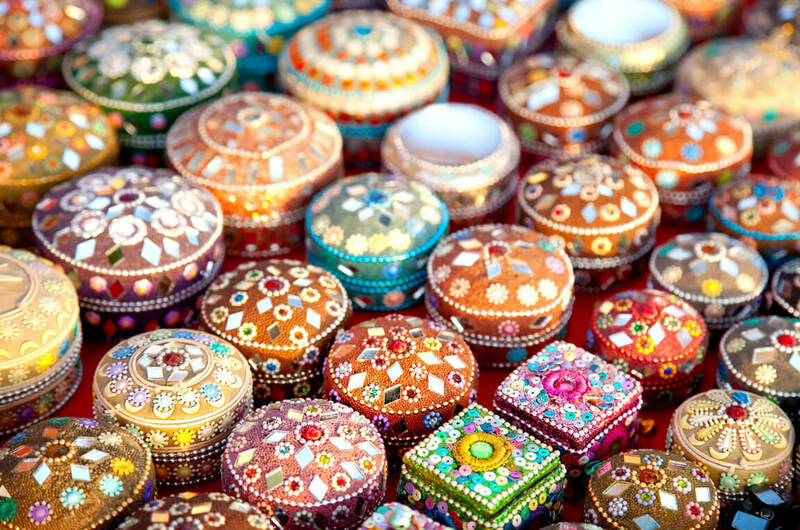 Many festivals take place and apparently Ayurvedic treatments are more effective. 9. Stay at a homestay. Lonely Planet rated Kerala as one of their top family friendly destinations for 2014 and recommended a homestay. 10. Eat fresh food and glorious spices. 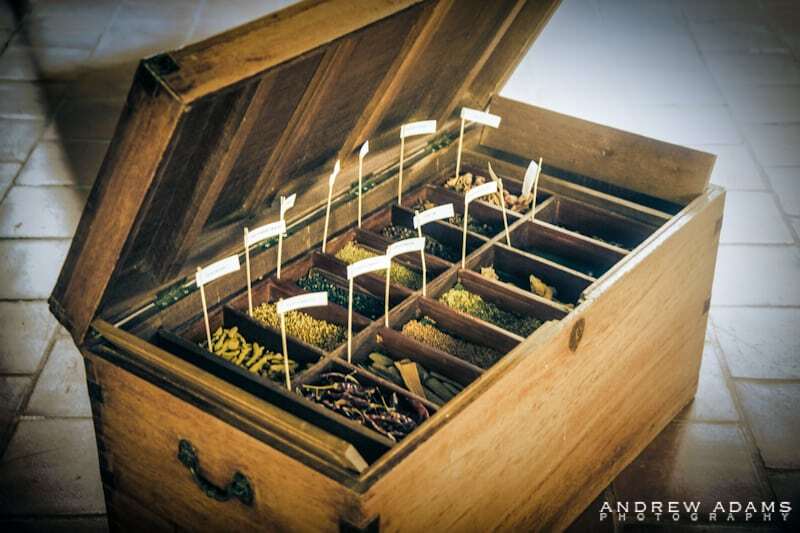 Kerala is the spice bowl of India, and you can visit, and even stay, at the spice gardens. The local cuisine is rice-based, spiked with fresh spices and often eaten off a large, bright green banana leaf. 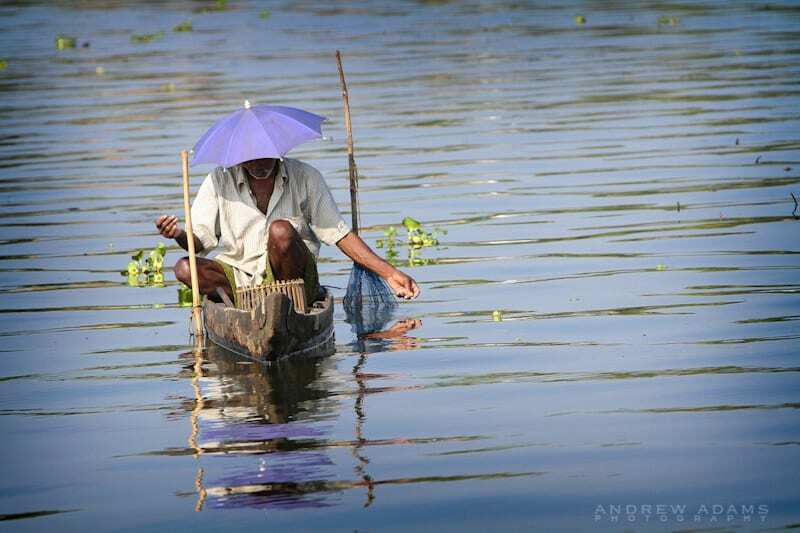 The creative eye behind the images, Andrew enjoying the simple life on the backwaters.